> A Golfing Experience US; Our US representive office now open ! Our US representative office is now open ! 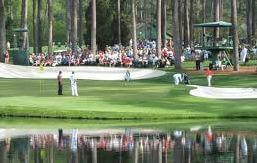 A Golfing Experience makes golf travel to the US that much easier by having our own travel team based in South Carolina ! Having been in the golf travel business for the last 30 years it gives us the confidence and great pleasure to open our latest office in the AGE group; this time in the USA. Following the success of our established HQ in London, Since 1989 and our European base in Lyon, France in 2009. DISCOVERING NEW DESTINATIONS - Our Destination Team will be at the 11th IAGTO North America Golf Tourism Convention will take place in Texas Lake & Hill Country at the Horseshoe Bay Resort from 23-26 June 2019. This is an annual opportunity to meet with the leading suppliers in the US golf industry. South Carolina, Our home state ! Pebble Beach Resorts is a legendary place for golfers around the world and definately the one must play in a golfer lifetime.Stay at the award-winning Lodge at Pebble Beach, Inn at Spanish Bay and Casa Palmero. Enjoy our numerous dining experiences. A Golfing Experience USA was in Sunriver Resort, Bend, Oregon in June 2018 for the 10th NAC IAGTO golf convention. Tour operators from around the world were able to experience one the greatest golf environments there is. From great parkland courses to mountain top views and fine links there is something for all standards of golfer as well as the fantastic west coast hospitality. Where else can we help Florida, Alabama, Indiana, Pennsylvania & Texas ! Had a great weekend. Courses were good and we'll certainly look to return. March 2019.